This morning brought news that the world had lost one of its last real cowboys. A man that lived by rules determined by none other than himself, who had shades of an overzealous madman complimented by a very kind gentle side that the television viewing audience saw very little of. 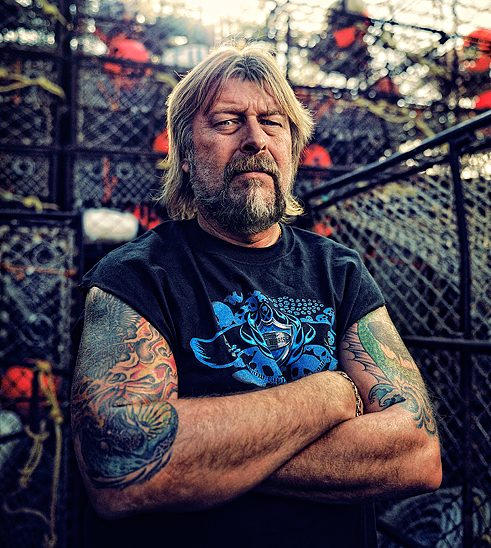 That man was Captain Phil Harris. With the little time that I spent with him I developed a profound respect for him not as the captain of the Cornelia Marie, but as a quieter man that was anything but the angered persona that I had prepared for upon my arrival to Dutch Harbor. Phil was fun to photograph as he is a rough man that has weathered many outings at sea, yet spent much of the time concerned with that his tattoos show well in the photos. Intimidating as he was in the images I made of him, Phil was approachable by anyone, and was the kind of person that would save a seat at the table for a photographer that he barely knew. It is with great sadness that I am writing of Phil’s passing. 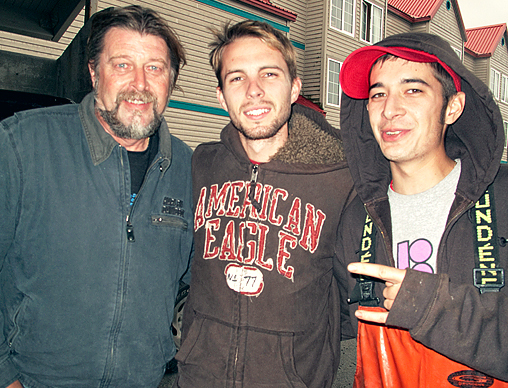 However, I am honored to have known one of the last real men, Captain Phil Harris. Oh good, I was hoping you’d chime in with a story about your time with Phil. That show won’t be the same without him.